@MeepII: I guess the short answer to your question is: model everything. This comes at a pretty heavy price in terms of poly count, and is definately something to consider when you begin a project. 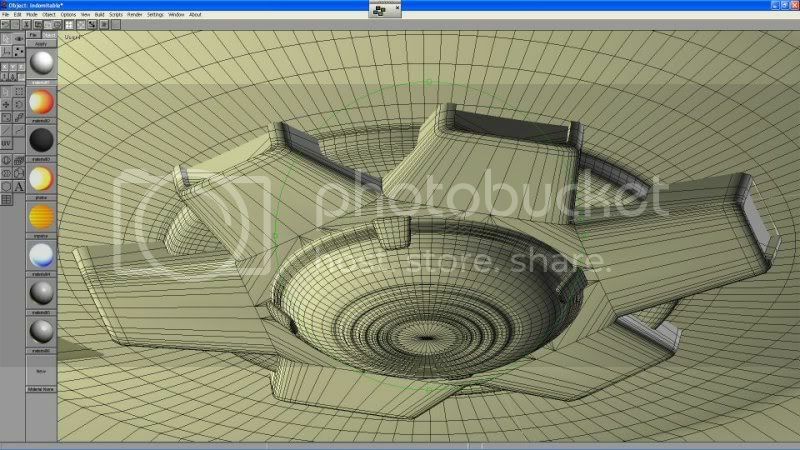 This model, for example, would be totally unsuitable for a game. Of course, that wasn't the objective and would call for a different approach. 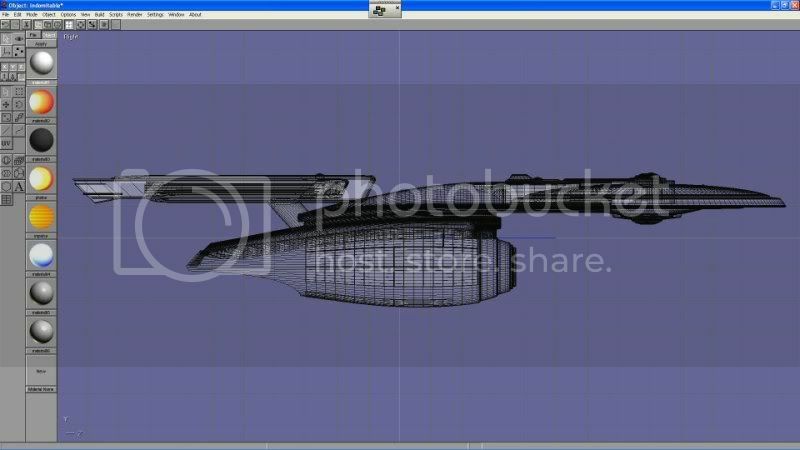 I've also been using the bevel tool more on this model than I ever have before, to sweeten up the edges. There's very few things in the real world that have a totally sharp and uniform edge, and those sharp edges are often one of the biggest factors in something looking artificial. I have to make a confession: this model is probably 95% built in Anim8or, 5% in Blender. 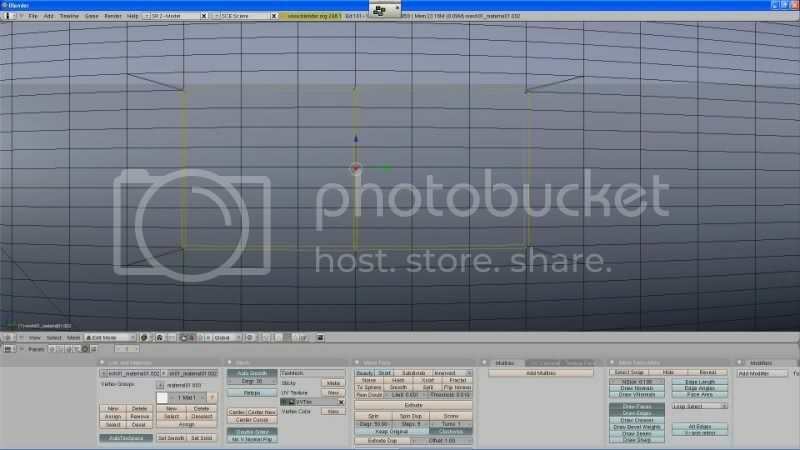 In certain situations, Anim8or extrudes better than Blender, and bevels better than Blender. In others, the reverse is true. 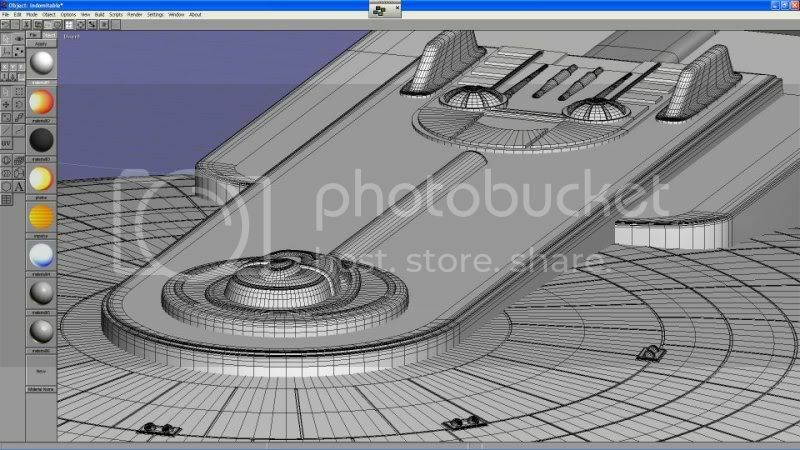 To do the hull plating on the secondary hull, for example, I selected the edges that would outline the plates and beveled. In Anim8or, the vertical edges would inset much further than the horizontal edges. So, I exported the model to Blender and did the bevel there (which was uniform), then imported back to anim8or for the extrude. Back to Blender for the edge bevel, and back to Anim8or to continue on. Maybe there is a way to get Anim8or to do this, but if there is, I don't know it. I'm afraid there is no remedy for that in anim8or Olias.. I usually go to 3ds max to do the beveling. You can do it a little bit with cutting the edges where you want it, but that takes a lot of tweaking. Your model is looking really good though, keep it up! Is all the detail part of a single mesh? Or is it like.... stuck on? This is coming along awesomely. I appreciate much your sharing of pointers and techniques. At first I was a bit skeptical about the look of crafts in the new Star Trek movie (before seeing it on screen), but as I watched the beginning, with the ship commanded by Pike (I forget the ship's name) I immediately changed my mind. 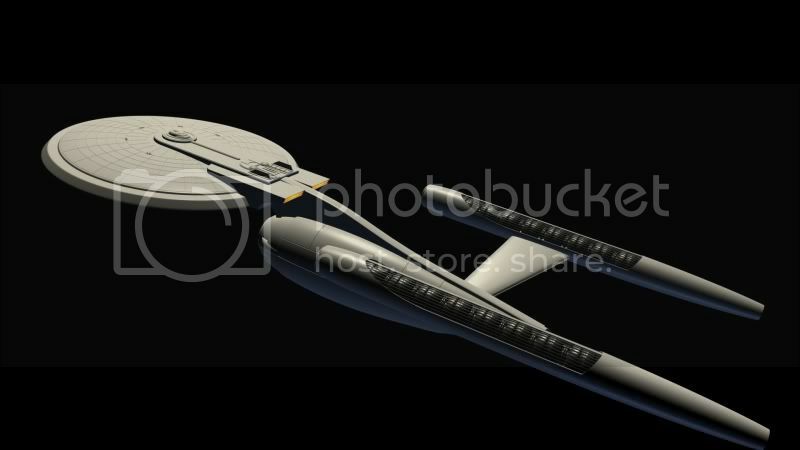 I think this "Indomitable" style would really look great modified that way, and given the warp nacelles from the new movie's Enterprise. 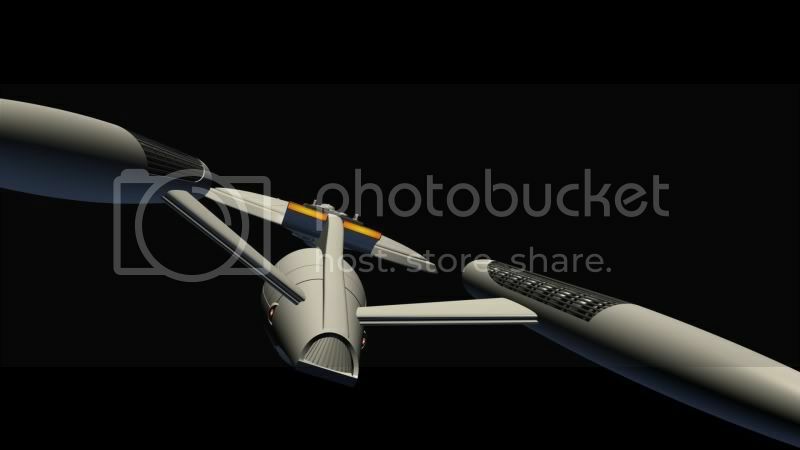 I have always been partial to the look of the glowing orange-red energy at the front of the original series ship nacelles. 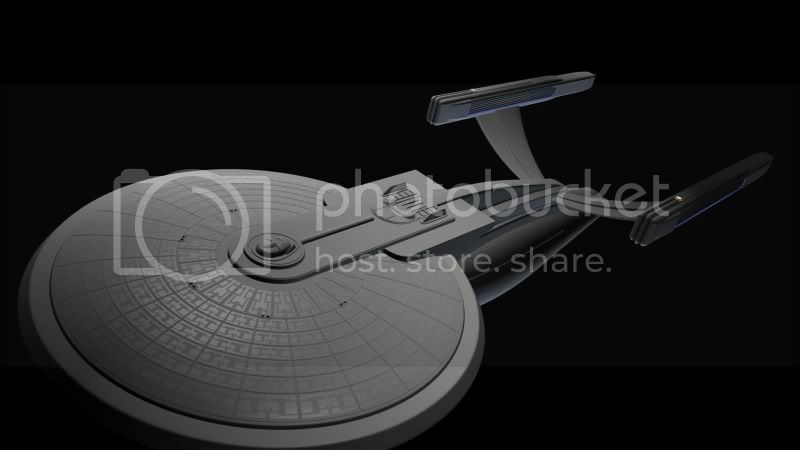 Arik: I remember seeing some stills of the re-imagined Enterprise before the 2009 movie came out and thinking, "God, that looks awful." They certainly didn't do it justice, it looked amazing in the movie. That may well be my next project. 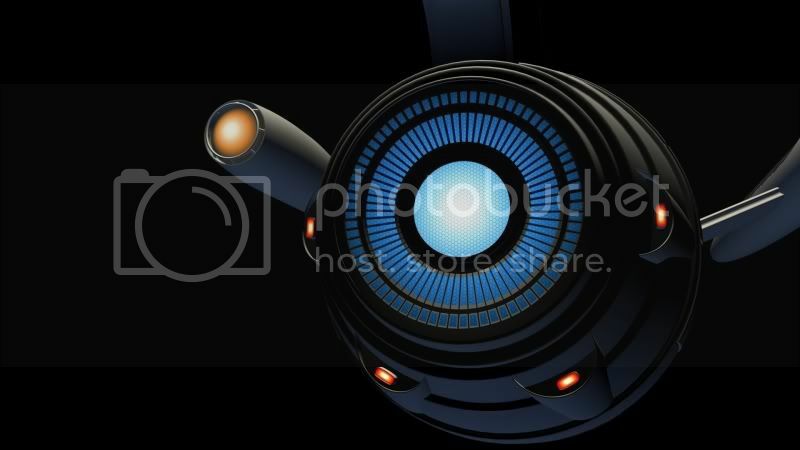 What I liked about the Original Series Enterprise, the movie refit and "1701-A", and the 2009 reimagined Enterprise is they don't go hog wild with glowy crap, as they started to do from The Next Generation on. They seem more believable somehow, the style was distinctly different. Meep: In most cases, they are "stuck on" - separate meshes intersecting each other to look connected. Nice one. 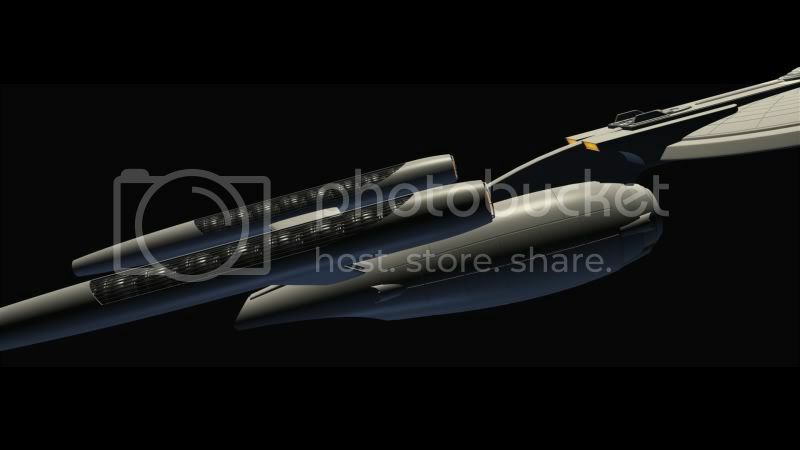 Also try some photorealistic renders. That would look even better then the movie. And if you need textures, I can make some pretty good greebly-looking diffuse/bump/specular maps. But they'd probably fit better for a Star Destroyer or the Death Star than the Indomitable. This is what I meant. Square textures in this post, disk textures in the next. And now the disk textures. Thanks very much, and I certainly appreciate the work you did to contribute to the project. I've been screwing around with aztec textures for quite a while, trying to get them to look right. As it happens, the method for creating them you guys pointed out here is more or less what I had come up with as well on my older Enterprise project. 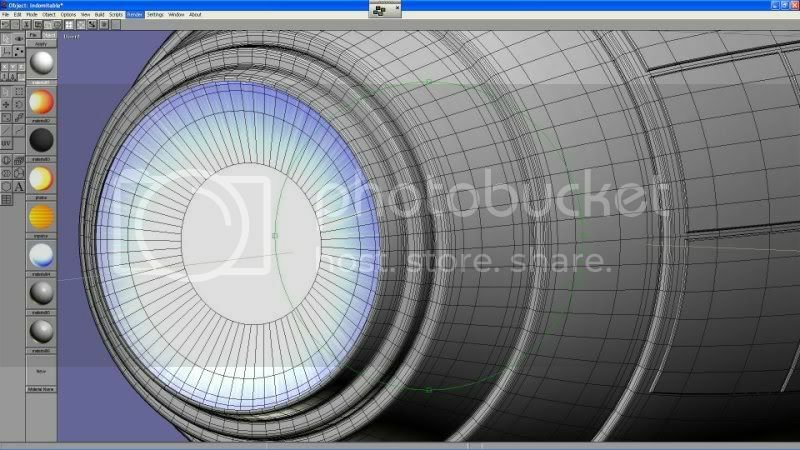 I'm not a huge fan of the Polar Coordinates function in Paint Shop Pro 8. The farther out you get from the center, the more your edges get extremely blurry or jaggy. I had managed to comepensate for this somewhat by creating the aztec pattern on a 128 x 128 canvas, then resizing it to 128 x 2048 and saving it as a pattern swatch. Then I used that to flood fill a 2048 x 2048, then applied Polar Coordinates. I was reasonably happy with it, and for at least a couple of renders, the bump map seemed to work properly on the hull lines. 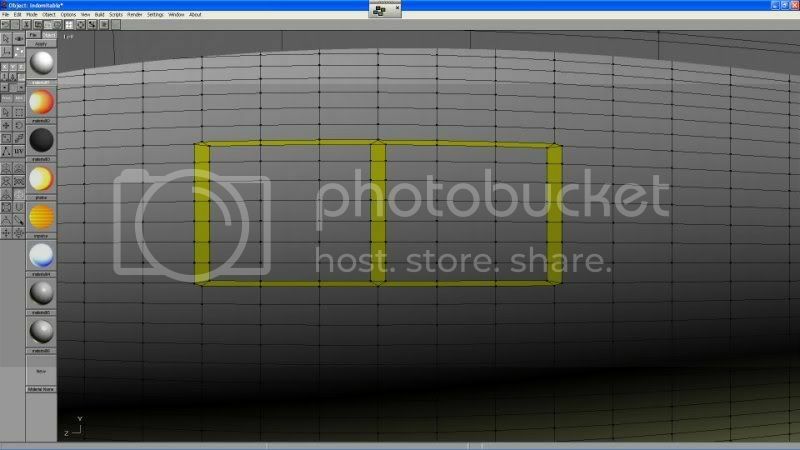 And that brings me to bump maps, and why there will be none on this model. I've had no luck with them on any Star Trek ship I've done. They seem to work for a render or two, then like over half of the bump map seems to reverse on render, bumping up where it's supposed to go down, etc. I thought this was something to do with Anim8or, but it did it on Blender as well. I'm not sure why, I tried everything I could think of to fix it. 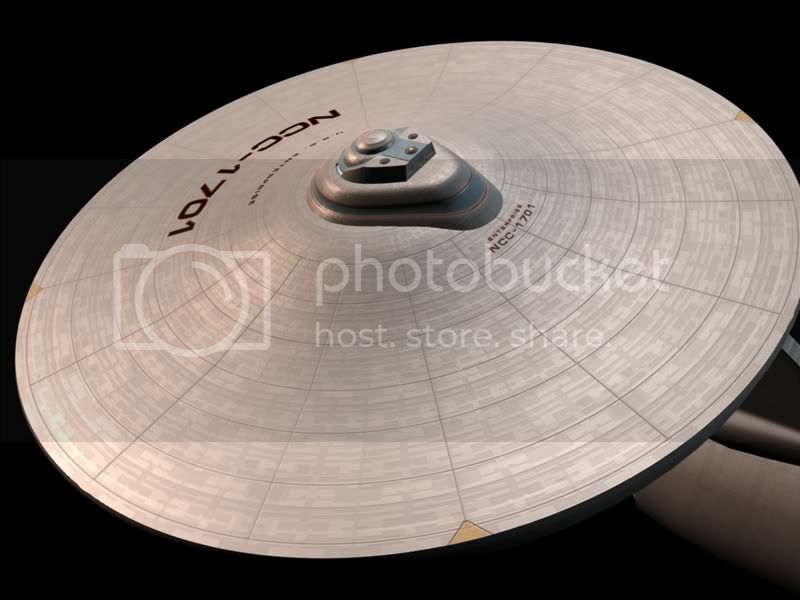 Maybe it's to do with the saucer shape. No idea, but there won't be bump mapping on this model. Very high in poly, but lines up perfectly with the existing hull lines, something else you're not going to get with Polar Coordinates. I think where I will go from here is eliminating the aztec modelling, but rendering it into an image that I will base a texture off of. Should look almost as good, with much cleaner lines than PC. Here, finally, are some new updates. 1. New "Neck". I totally replaced the section between the primary and secondary hulls. 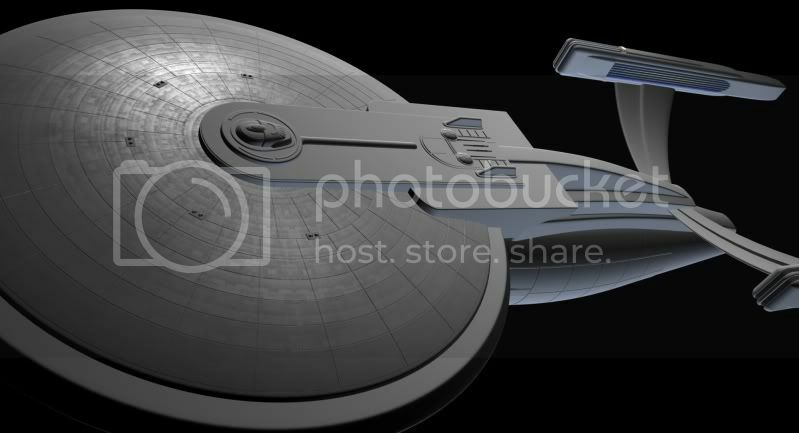 I wanted to distinguish this ship further from the Enterprise, which has a similar setup...torpedo bay mounted in the neck. 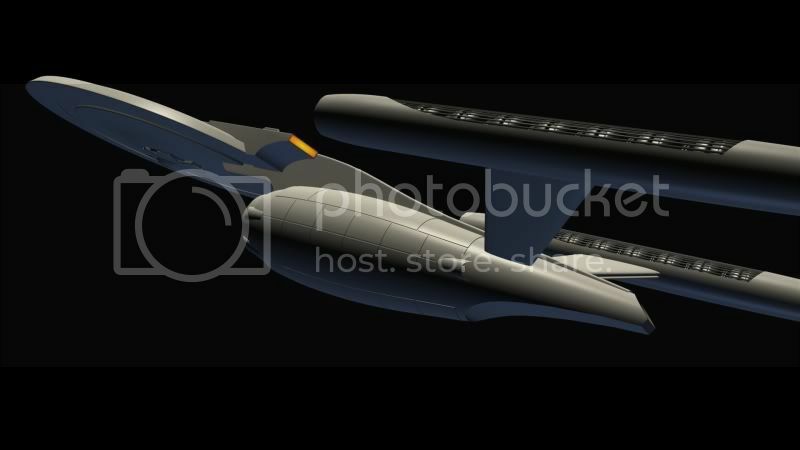 This new "neck" is also shorter, giving the ship an overall lower profile and making it slightly more similar to the original design. 2. Torpedo Tubes. These are now arranged around the deflector dish forward, and along the sides aft. 3. Deflector Dish. 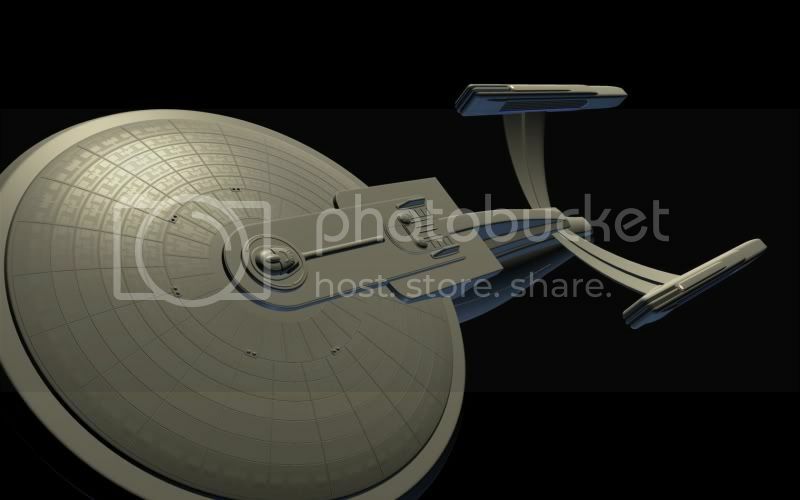 Detailed this, making it look somewhat similar to the 2009 Enterprise. 4. Warp Nacelles. This is what took me so long between updates. 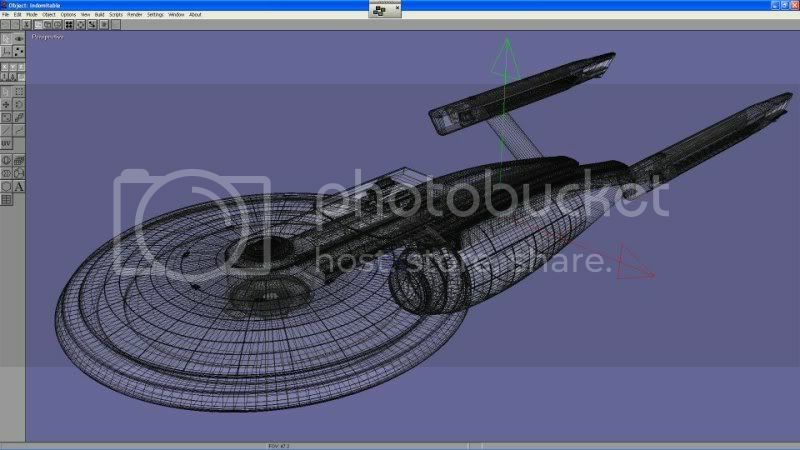 I wanted to create original nacelles for this ship, for a number of reasons. 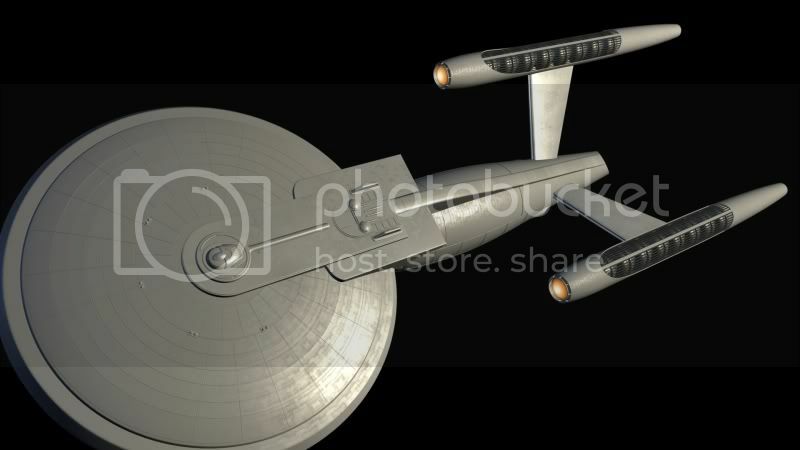 First, to differentiate it from the Enterprise. 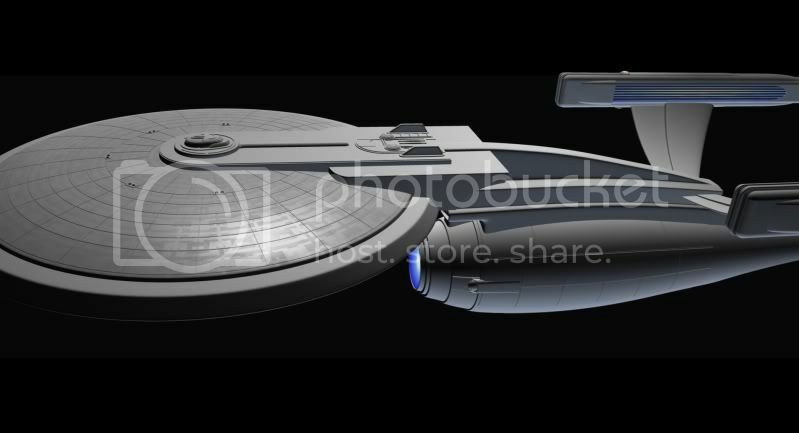 Secondly, according to the specs, this ship is almost twice as long as Enterprise-A. 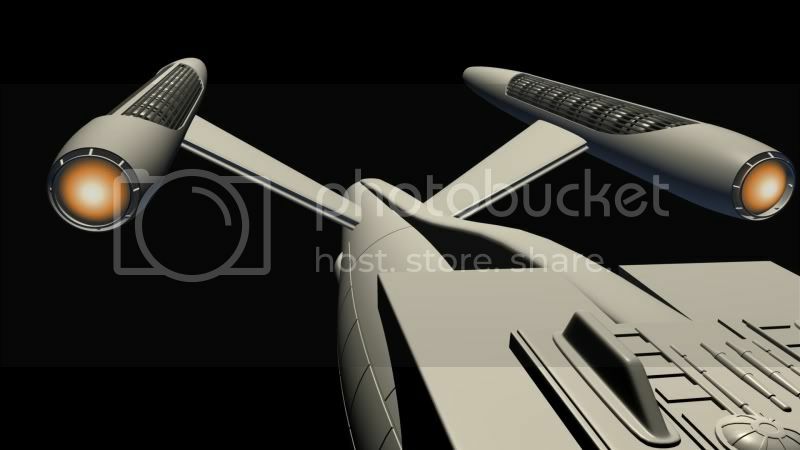 I suppose it's possible that they would make the exact same nacelle on a much larger scale, but that seems kind of unlikely. So basically, here's what I have come up with. They need a lot more detailing, which is to follow. 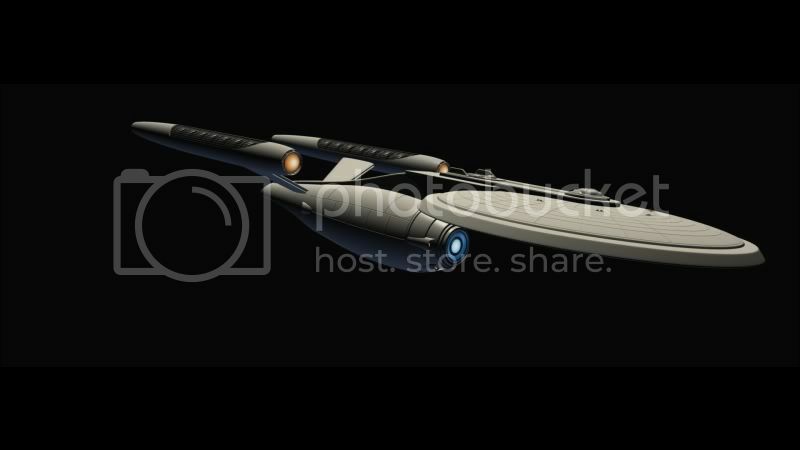 I created several different nacelles, but wasn't happy with any of them until this one.